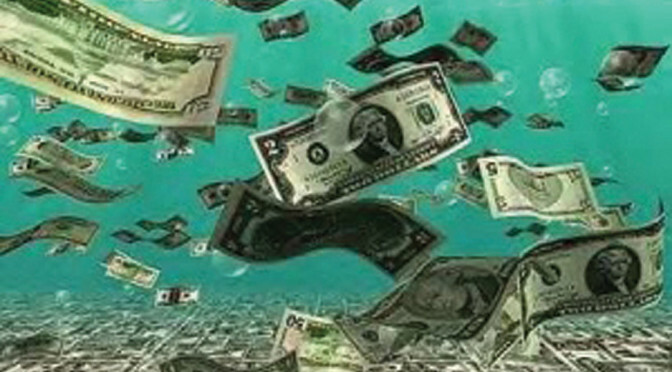 Almost three years ago I wrote about “The New Normal” for commercial pool professionals – the pressure of too much business, too few employees, and customers who expect too much, too quickly and for too little compensation. Commercial pool owners and managers are beholden to social media reviews, whether they are posted on sites such as Trip Advisor or Yelp, or on property-specific pages – most large HOA’s and condos have a Facebook page for their community center or pool. 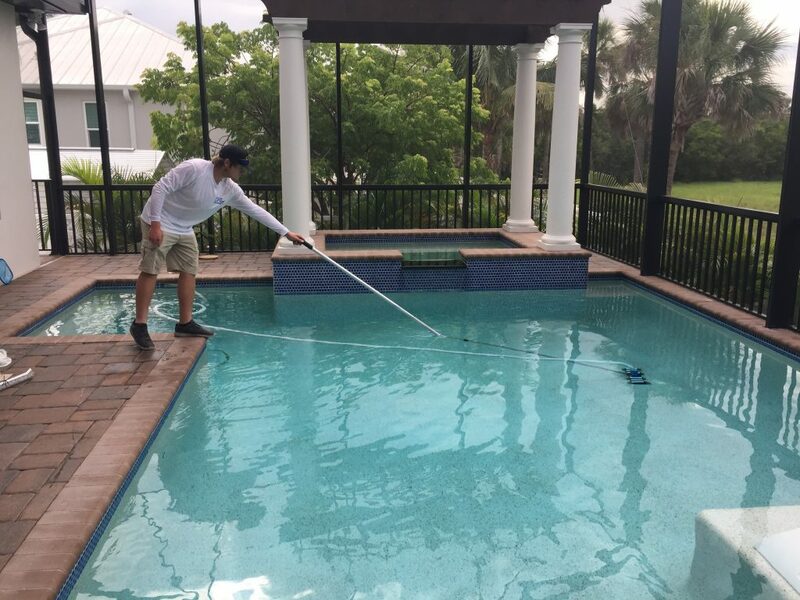 Here’s a typical scenario: Your service professional left the property at 7:30 a.m. and it was perfect – chemistry is right on, filter cleaned, tile scrubbed and the pool surface vacuumed and brushed. By 9:30 a.m., guests have tracked sand onto the steps, the “waterproof” sunscreen is all over the tile, and someone’s grandchild is complaining about stinging eyes. So it’s terrible, and it’s all your fault, and someone has already posted a terrible review of the pool, its management, and your service on social media. Is your customer service team prepared? Consider having your pool techs take a photo of the pool before they leave the property and having a conversation with each commercial customer about their expectations and your responsibility to head off problems. It also helps to have a few happy clients and friends at the ready to post positive comments about your company to quickly move the unfair negative reviews off of the first page! More and more, maintenance staff employed by the property are making repairs to piping, pumps and other systems WHICH THEY ARE NOT LICENSED TO PERFORM! Recently a maintenance person at a Daytona Beach hotel installed an incorrectly-sized pump motor he bought online (he told his manager the larger motor would clean the pool better!) and when the motor overheated he blamed us for not cleaning the filter often enough – never mind that it’s a seven-days-per week service account and we have photos of each filter clean! It didn’t take very long for our customer service team to show the hotel manager what went wrong and why the few dollars their maintenance man tried to save ended up costing them hundreds, not to mention closing the pool again (see item 1 above). They will be calling us in the future for repairs. Education is the key. Help your customers understand how they save money in the long run by using only trained, licensed, FSPA member professionals to maintain and repair their pools. And get involved in their social media programs – that’s the new normal. As we continue to see growth in the number of people moving to Florida and the number of new pools being built each year, plus an already large number of existing pools, the need for pool service is in demand even more each year. We have several other factors that will increase demand as well. Florida has a very large baby-boomer population that is getting older and no longer physically able to service their own pools. 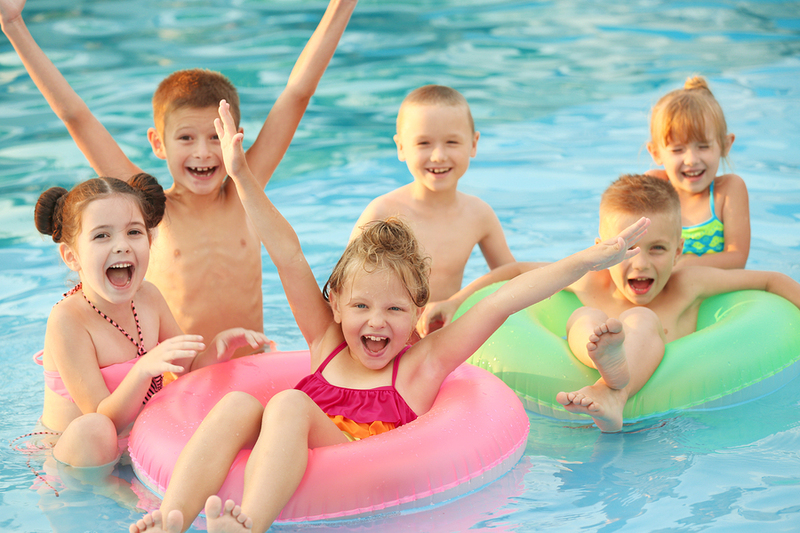 Generation X pool owners are generally working too many hours and are hiring pool companies to help “free up” their weekends from so much work. And then there is the Millennial, who is interested in freeing up as much additional time as possible. Studies have shown that most Millennials would rather pay a fee than be inconvenienced by most common household tasks. By the year 2020, experts predict that 35% of the US workforce will be made up of this generation. They see great value in shopping for everything online. They waste no time standing in line to order fast food, they order it on their phone and have it delivered to wherever they are. A shift in how pool cleaning and repair services are being hired has already begun. Companies with a strong internet presence and great reviews (5 stars) will get the first shot at servicing these customers. Keep in mind they are the most technologically advanced generation and will expect you to be tech friendly. They will want to hire you over the internet instead of in person. Quick response by text or email will work best for them when they want to communicate with you. They will lift your company up or make it go tumbling down with a social media comment that will reach thousands at the touch of their phone. As the Millennial generation slowly grows older and occupies more and more houses with swimming pools, the need for pool cleaning and repair companies will grow as well. One part of keeping your future bright in the pool industry is making sure you can meet the expectations of this next generation customer. FSPA’s 2019 Legislative Days will be taking place at the State Capitol this week from March 20 to March 21. FSPA members from around the state will be engaging with legislators and state agency officials about our legislative and regulatory priorities this year. We are looking forward to a successful two days, stay tuned for updates! The Florida Building Commission will be meeting this Friday March 22nd in Orlando to hear the proposed code modifications for the 2020 Building code update. FSPA staff will be at the FBC meeting representing you. Please look out for our update on the FBC Meeting next Monday. Summary: SB 1640 and HB 27 are omnibus professional deregulation bills covering licensure of professions from interior designers to contractors. 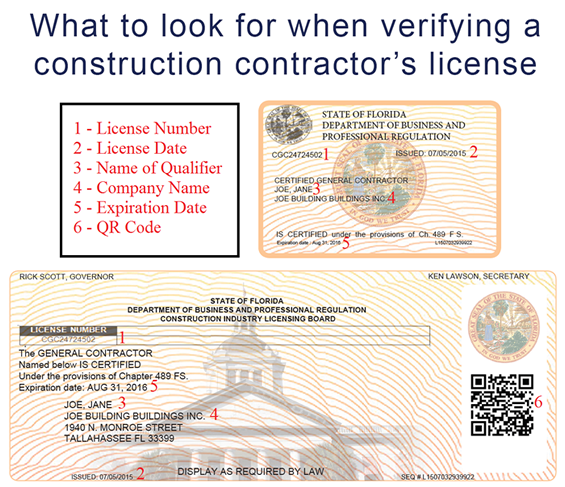 FSPA is concerned with to provisions that deal with contractors licensing: 1) the bills would allow an applicant with a 4-year degree in Construction Management to apply for ANY Division I or II license without taking an exam. 2) The bills would allow for applicants holding out of state license for 10 or more years to apply for any Division I or II license without taking an exam. Neither bill will alter the number of continuing education that is required for swimming pool contractors. Status: HB 27 is scheduled to be heard tomorrow March 19th at 11:30am in the Business & Professions Committee. SB 1640 has not been scheduled for hearing yet. Summary: These bills are attempting to remove manmade lakes or lagoons with a surface area of 43,000 square feet or more from the definition of a public pool as defined in s. 514.011 F.S. and s. 515.25 F.S and would limit Department of Health regulation of these large swimming pools. 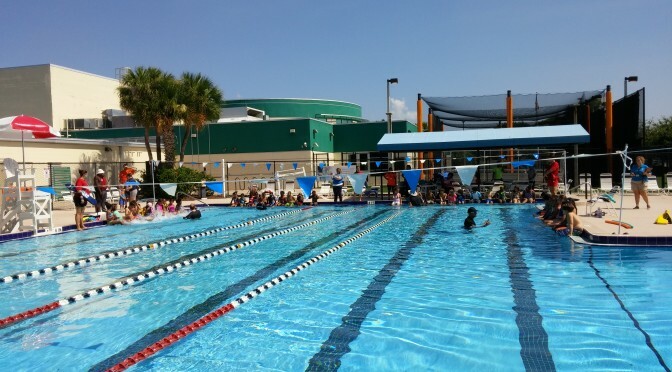 FSPA is opposed to these bills due the potential for public health risks if these large swimming pools were to operate without Department of Health oversight. Status: SB 1614 is being heard today, March 18th, in the Senate Health Policy Committee. HB 757 has not been set for committee hearing in the House. Summary: This set of bills aims to ensure ground water quality and mandates that local governments produce and implement a ground water quality plan. If a County or City fails to implement a water quality plan, these bills would allow the State to suspend that jurisdictions authority to issue ANY building permits until the jurisdiction is in compliance. FSPA is opposed to these bills in their current form due to the heavy handed and arbitrary penalty that it imposes. Status: SB 1758 is set to be heard in the Environment and Natural Resources Committee on March 20th. HB 1395 has not been set for any hearings yet. Summary: These bills would require governing bodies of counties and municipalities to post their permit and inspection fee schedules and building permit and inspection utilization reports on their websites; requiring certain governing bodies of local governments to create a building permit and inspection utilization report containing certain information and to post such report on their websites by a specified date, etc. Status: Both SB 142 and HB 127 have passed through their assigned committees and are being placed on the 2nd Reading Calendar in the Senate and House. Summary: These bills more clearly define how local governments must calculate and collect building impact fees. Changes the code to require rational nexus between the impact fees collected and the need to for increased infrastructure. Status: HB 207 has passed through all assigned committees. SB 144 is pending hearing in the Tax and Finance Committee. Summary: These bills would require two (2) safety features (i.e. fence and door alarms) to be installed on all new pool construction. The bills also mandate that currently complaint residential pools with one (1) safety feature would have to be fitted with an additional safety feature when the property is sold or transferred. The bills would make failure to comply with the new standards a misdemeanor. FSPA is concerned with retroactive provisions of this bill and the potential for criminal prosecution for non-compliance. Status: HB 805 has not been scheduled for hearing since being assigned to committee. SB 724 has passed the Industry, Innovation, and Technology Committee and is scheduled to be heard in the Community Affairs Committee on Wednesday March 20th. Allison Sitte was named director of legislative and cabinet affairs for the Florida Department of Veterans’ Affairs. Erin Moffet will be Federal Affairs Director for the Department of Agriculture and Consumer Services under Democratic Commissioner Nikki Fried. Dan Daley was the only candidate who qualified in the special election for House District 97, and so won by default. However, he will not be sworn in until after the set Special General Election date of June 18, 2018. So far, there have been 2,735 bills filed for the 2019 Session. There are 10 days left until Session starts on March 5th. There are 23 days until St. Patrick’s Day! TALLAHASSEE, Tampa Bay Times — Gov. Ron DeSantis announced Wednesday that he wants to give patients access to cheaper prescription drugs from Canada, making Florida the latest state to try to import medications to reduce rising health care costs. “Once we get this in place, U.S. citizens will be able to have access to more affordable drugs,” DeSantis told a cheering crowd at The Villages, a retirement community near Orlando. Flanked by Florida House Speaker José Oliva and Secretary of the state Agency for Health Care Administration Mary Mayhew, DeSantis said he would ask state lawmakers to pass a bill allowing such drug imports from Canada. The federal government would still need to approve it, something it hasn’t done since it passed a law to create the process in 2003. The House Business & Professions Subcommittee voted 9-5 along party lines to approve HB 3, which seeks to eliminate existing local business regulations as of July 1, 2021, and prevent new regulations. The bill would lead to the state largely having control of the regulation and licensing of professions at the local level — such as construction. The bill specifically prohibits local governments from requiring a license for a person whose job scope does not substantially correspond to a contractor type licensed by the Construction Industry Licensing Board (CILB), and specifically precludes local governments from requiring a license for: painting, flooring, cabinetry, interior remodeling, driveway or tennis court installation, and decorative stone, tile, marble, granite, or terrazzo installation, plastering, and stuccoing. There is no Senate companion currently. The House bill saw no action this week and remains in the House State Affairs Committee. The Senate bill remains in the Senate Innovation, Industry, and Technology Committee. The bill requires the governing bodies of counties and municipalities to post permit and inspection fee schedules and building permit and inspection utilization report on their website. HB 757 was referred to the Health Quality Subcommittee; Health Care Appropriations Subcommittee; and Health and Human Services Committee on February 20. The bill clarifies that manmade lakes or lagoons with a surface area of 43,000 square feet or more are not considered a public pool as defined in s. 514.011 F.S. and s. 515.25 F.S. We are concerned these bills would increase unlicensed activity in Florida. Neither bill has been heard in committee yet. Neither bill has been heard in its first committee yet. We have expressed our concerns to the Senate sponsor Ed Hooper and asked the Florida Realtors to meet with him. As of now, this seems to be a dead issue. We are scheduling a meeting with James Bussey, the FDEM Chief of Staff, as a follow-up. Produced in conjunction with Bruce Kershner, FSPA Regulatory Consultant. For full Bill information, including sponsors, language and status download Rallywise. The service side of our industry is all about repeat, ongoing business. Once a pool gets dialed in, repeat service is less about the actual pool and more about the relationship with the pool owner. In Florida, we only have a few months of face time to establish trust in-person as many of our clients are gone most of the year. This doesn’t mean that a relationship can’t be formed. Assuming a service tech understands the fundamentals of chemistry and equipment, their primary focus should be establishing a bond with the client. First impressions matter. The appearance of your vehicle is often the first thing the client sees. Your fleet is free advertising and name recognition. I am stunned at how many of us are driving beat up vehicles and aren’t putting the company name and license numbers on the trucks. Let’s get those rusted bumpers replaced and keep your chemicals separated and cargo organized. I can’t tell you how many clients have called us because our trucks are neat, clean and have our number on it. Pets are a great way to endear yourself to the client. Pet the dog and learn its name. If you can win over the dog, the customer will usually follow suit. Many of our techs carry dog treats and use them liberally once they ask if its ok to do so. You are on your own with parrots. They freak me out. your own team and company. Our staff are trained to never say anything bad about another company and especially another employee. Our office stays in constant contact and supervisors still pop in so that customers know they have a team on their pool and not just a person in a truck. Our office checks in with clients regularly to stay ahead of any issues and to keep the relationship fresh. We report issues found at customers’ houses even if they aren’t pool related. This is us showing we care. We have earned a large base of loyal customers by focusing on relationships. The pool is the topic that we discuss the most but it is the relationship that makes us successful. From passing our trucks on the road to getting a bill from our office, the client has a choice. It’s our job to make them want to be in a relationship with us and to never question that decision again. Governor Ron DeSantis appointed Jonathan Satter as Secretary of the Department of Management Services. Agriculture Commissioner Nikki Fried named Holly Bell as director of cannabis. So far, there have been 1,832 bills filed for the 2019 Session. There are 17 days left until Session starts on March 5th. TALLAHASSEE, Fla. (AP) — Florida lawmakers are seeking to get rid of a commission that meets every 20 years to suggest changes to the state constitution. The House Civil Justice Subcommittee voted 13-1 on Wednesday to ask voters to repeal the Constitution Revision Commission, which met last year and placed seven items on the 2018 ballot. Voters approved all seven. They included bans on dog racing, oil drilling in state waters and vaping in workplaces. It also included a measure that extends new rights to crime victims. Rep. Brad Drake sponsored the bill and said the commission has become a political body proposing major policy changes rather than a body that revises outdated language in the constitution. Sixty percent of Florida voters would have to approve the proposal in order to repeal the commission. The House bill passed another committee this week, leaving one remaining committee of reference before the proposed legislation moves to the full House for final consideration. The Senate bill is now in the Senate Innovation, Industry, and Technology Committee. The bill requires the governing bodies of counties and municipalities to post permit and inspection fee schedules and building permit and inspection utilization report on their website. Representative Ralph Massullo has filed a bill to clarify the definition of a public swimming pool in s. 514.011 F.S. and s. 515.25 F.S. does not include manmade lakes or lagoons with a surface area of 43,000 square feet or more. We are concerned these bills would increase unlicensed activity in Florida. Our team met with Sen. Perry, and he agreed this would be a negative outcome and that we do not want to increase unlicensed activity. As expected, Rep. Webb filed the House companion this week. We met with the Florida Realtors, they will have an internal meeting to discuss strategy, and then update us on their plans as this proceeds. We are waiting on the Deputy Director to follow up with us on their internal discussions on this matter. We reminded Director Moskowitz that this is time sensitive. The House and Senate bills both passed their first committees this week. The House bill is on the agenda in its next committee the Business & Professions Subcommittee, on 02/13/19, at 1:30 pm. We are concerned these bills would increase unlicensed activity in Florida. Our team met with Sen. Perry this week, and he agreed this would be a negative outcome and that we do not want to increase unlicensed activity. Our team also met with Daniel Brackett in the Careers and Competition Subcommittee, who is putting together the staff analysis on this bill. He was open to our view that this has the potential to do more harm than good. He has a lot of background on these issues from his time at DBPR. Our team met with Sen. Hooper to discuss the inherent problems with this bill. He understands our concerns and is open to looking at different options, but he will be passionately pushing the bill since it came from one of his constituents. We have reached out to the Florida Realtors Association to discuss future steps to be taken. Sen. Hooper shared that the House sponsor will likely be Rep. Webb. Last week we had a productive meeting with the Director of the Department of Emergency Management. We are waiting for the Deputy Director to follow up with us on their internal discussions on this matter. Citing unreasonable and needless regulations which create a drag on our economic growth, stifle completion and keep hard working Floridians out of the labor pool, Governor Ron DeSantis recently asked the 17 professional boards to come together and come up with their own ideas on how to reduce regulations. On January 31, 2019, the various boards meet in Orlando at the “Florida Deregathon” where they discussed, debated, identified, and recommended substantive regulations to be targeted for eliminations or modification. This week, the House Business & Professional Subcommittee met and received an update on the “Deregathon” from recently appointed Department of Business and Professional Regulation Halsey Beshears. He stated that the Florida Legislature has talked about deregulation over the past several years. The goal is to lower regulations and make it easier for people to get into the various professions. He did emphasize that while the goal is to make it easier for people to get into the workforce, but it should never be at the expense of safety or health of the public. Work to refine all contractor application requirements to reduce experience requirements while maintaining financial requirements. Reduce cost of exam prep by eliminating some of the required textbooks for the licensing exam. Provide online sources or reduce required books. Revise applications to remove unnecessary questions. Reduce the size of the licensing board. Work on license reciprocation agreements with other states. Allow Florida BCN graduates to apply for Division I licensure without passing the certified examination. Determine additional degrees that could qualify for this exemption for all license types. Allow Division II to subcontract out work as long as they supervise subcontractors: eliminate Swimming Pool subcontractor specialty licenses (The FSPA Board of Directors does not support the elimination of the subcontractor specialty licenses). Reopen Grandfathering of Registered Contractors, update requirements. Review Endorsement requirements for other states. Consideration for academic and practical training to meet experience requirements. Revise initial training requirements for BASA/FASA. The most problematic of the recommendations appear to be the CILB’s suggestion to reduce the number of board members. It should be noted that Secretary Beshears thought that it was a good idea by making the board more nimble allowing them to make better decisions. He did comment that the department will continue to go after those who are taking advantage of Floridians. The department will continue to hammer on those who take advantage of citizens that have been displaced or are suffering hardships and construction contractors who are just taking advantage of vulnerable Floridians. There are currently no bills filled yet that directly addresses the suggestions recommended by the various boards. SB 604, which would open up grandfathering for registered electrical contractors to become certified, was filed by Senator Pizzo the day before the “Deregathon”. Also, keep in mind, some of the recommendations could be dealt with through rule changes by the various boards. Your business is more than just a price tag. Develop a good business model with strict procedures and processes. Hire good people and invest in them through training and coaching. Provide an outstanding product that includes great equipment, high quality work and amazing customer service! Once you have these items in place make sure your customers KNOW IT by telling them every day that you may not be the cheapest but you offer them the best value! What should I charge? For some reason our rates always seem to easily become an emotional issue. After all, we have worked so hard to build our dream. If we charge too much we will lose business! Or will we? Pricing should be completely removed from emotions and be the sum of four things: Cost of materials, cost of labor, business expense and profit! Growing a business costs money and lots of it. It requires an investment of funds to add that next truck, for example. While you will hopefully get profits from that investment, you will certainly not get that initial investment back. The only way to grow safely is by making healthy profits above and beyond what one takes home personally. Continue to refine pricing, costs and expenses until you reach your desired profit goal. I have often had smaller pool company owners make the following statement to me, “My business is smaller than yours so I don’t have your overhead.” In my opinion nothing could be further from the truth. Those smaller companies feel they can charge less when in fact their rates should be consistent with the larger guys. Why? 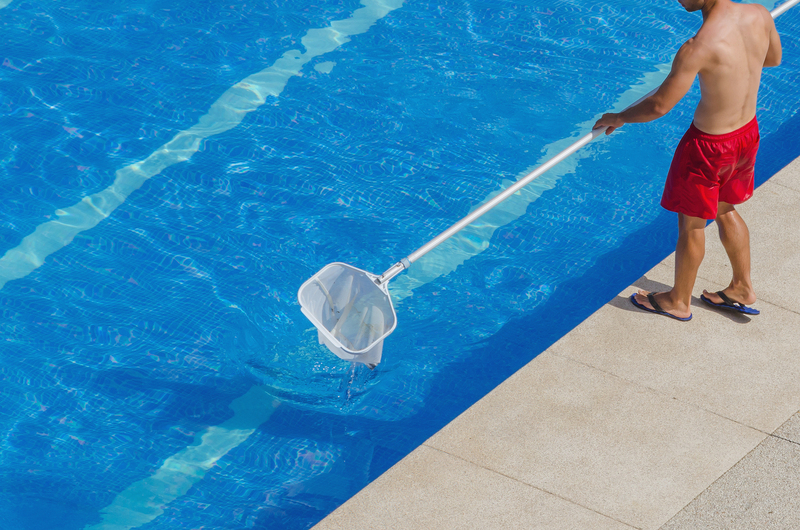 A small pool service company may save some money by carrying less liability insurance. They may choose to be workers’ comp exempt. They may rent a smaller warehouse or have no base of operations. All of those things noted, a large service company usually buys some or all of its chemicals by the truck load or buys things in pallet quantities. Like it or not your distributors give the bigger guys better pricing, sometimes much better. Large companies often have safety programs and are particular about who drives their vehicles which results in lower insurance rates per truck than the small guys. Large pool companies spread the risk more in workers’ comp rates and typically have better “experience ratings” which can mean they may pay up to 30 percent less. Larger businesses typically have been in business for very long period of time and have less debt. Large companies simply benefit from the economies of scale. Large or small, no one should ever try to be cheaper than the next guy. Never compete on price alone. Tomorrow someone with less experience will take the family pickup truck and decide they will be a pool company. Over a short period of time they will provide services cheaper and possibly even take some of your business but if the price structure is too low, then too many corners are cut and sooner rather than later they will cease to exist. After 35 years of paying its dues, chemistry controllers are finally being accepted as a great baseline to a responsible commercial pool care program. 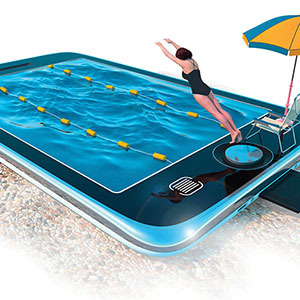 Forward-thinking pool service owners are taking it one step further and are providing a controller for each of their customers as a part of their base service. Why? If you poll these owners, many will tell you that: (a) it helps them save time, money and chemicals, (b) helps them with route flexibility, and (c) it helps protect them from unwanted emergencies that sometimes leads to losing good customers and, if there was a (d), it would be helping protect them from liability from out of range readings. While many rely on a simple and reliable ORP and pH control system, others have opted for units with remote control and alert notification features. New communication protocols are safer, easier to hook up, and can piggyback on any open Wi-Fi network on the pool deck, for free. So, there’s no need for VPN’s, dedicated networks, or extended battles with IT guys. Communications, once viewed by many as a gimmick, has transitioned into a useful tool that helps service providers tweak their schedules to maximize profits and reduce everyday drama. Control system development has kicked into a new gear over the past few years. New communications advancements use artificial intelligence to text you pool trends and alerts well before they become alarms and issues. Control over the entire equipment room, not just the chemistry, is becoming commonplace. Also, advancements in direct-reading (chlorine) PPM sensors provide an alternative to ORP control of pool and spa chlorine levels. PPM sensors used to require special calibrations and periodic replacement gel and sensing tips, but now use a simpler and less costly coiled wire design that appears to last for at least 3-5 years. This is a big improvement. The newest chemistry sensor introduced has nothing to do with chlorine and pH… it actually takes direct control of Total Alkalinity…. What? That’s right, it is a patented meter that takes a highly accurate automatic titration test as little as four times a day (and as many as 24 times a day) and automatically switches between acid and Co2 pH feed systems to keep the alkalinity in a perfect range. You merely change the reagent bottle every 3-5 months. Stay tuned as basic control systems, used by some service companies for over three decades finally convince even the most hesitant service company that they are a helper, not a hindrance. Also stay tuned while great new advances by US controller companies lead the worldwide pool industry into a new era of controls and communications. The fun is just beginning. As we begin 2019 I am compelled to reflect back on my time as a FSPA Board member for the Palm Beach Chapter and on the state Executive Committee, but more importantly, on the amazing people of this association. I think about the volunteers who served as presidents, task force members, chairs of committees, and members who served on state appointed Boards and I marvel at what has been accomplished in the last 10 to 12 years. It is truly the dedication and commitment of these volunteers and state staff in Sarasota that has elevated the FSPA to the level of recognition we realize today in Tallahassee and around the state. Our work is not done yet. The accomplishments over recent years from Chapters, state Board Members and amazing staff have been many. The recognition we enjoy now from Tallahassee and local building and health departments was not even imagined 10 years ago. Our working relationship with other trades through the Construction Coalition on workforce development and other common interests, such as unlicensed activity, has never been at a higher level. It has been my belief from my earlier years on the Board that these issues are better fought by our industry joining in with the other trades. These relationships need to be nurtured and grown through our work with this coalition and our support of groups like the Future Builders Association. Please get involved in these activities. All the trades we work beside every day in our communities, cities, and counties share more common struggles and issues with us than those that differ. We will get more done when our membership number is joined by all their membership numbers. that company to join our ranks so we can truly follow our mission statement of Advancing Florida’s Swimming Pool Industry. As your incoming president I would like to challenge every member to go sign up one new member. Through stronger membership we have a better chance to prevail in the battles to come. Most challenges we know about and work together to address. The challenges, unknown but surely to come, can be better fought from a position of strength with a larger membership. Accept the challenge and watch what all of us members have fought for through commitment and dedication to build the FSPA to what it is today. With your help on membership, watch our number grow into an Association we could not have imagined just a few years ago. 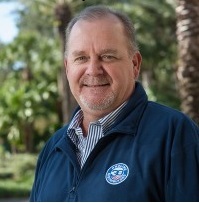 I wish all of you a Happy and Prosperous New Year – Now go get “Your Florida Swimming Pool Association” a new member.